I'm looking for a reliable car that doesn't guzzle gas, that can handle mountain roads (i.e., has a little pep) and that is fun to drive. So far I have driven (and eliminated) a 2014 Kia Soul, a 2012 Honda Civic and a 2015 Honda Fit. I also drove a Subaru Impreza, which I liked, and I am very interested in a Mazda 3, but from reading these forums, am wary of the Mazda rusting. Whatever I get needs to be reliable, needs to last, and must be able to handle Colorado mountain driving (AWD is a plus, but I understand good snow tires are most important). Am I leaving anything out? Should I consider a slightly older Subaru Forester, Legacy, etc.? What about a Toyota Matrix/Pontiac Vibe? Thanks so much for your help! No on the Honda Fit, huh? A Matrix/Vibe will be similar; slightly more powerful but heavier. You might like the feel of a Scion XD - about the same size as a Fit, but has a bigger engine (the Matrix/Vibe/Corolla engine). Based on past results, a Mazda will probably start to show some body rust at 6-10 years old in your climate. Maybe they've changed their metals coating processes since then, but I've never seen any kind of technical analysis that would show that. They are nice cars, though. On the Subaru front, you will definately lose some MPG with them, but they are nice cars; the Impreza being smallest/cheapest and the one to get unless you need more space. 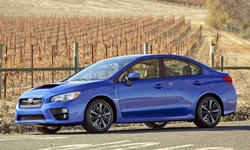 If you don't like any of the smaller/better mpg cars, the Impreza might be your best bet. You can get the bigger engine in a Matrix, but once you do that, economy begins to favor the Impreza. Thanks so much for your thoughts! I didn't like the Fit because it whined and worked too hard (I thought) to get uphill, a concern I also have regarding the Impreza. I haven't driven an Impreza, but a friend's husband has one, and she tells me it is constantly being passed on uphill roads. That's why I wondered if it wouldn't be smarter, even though I'd be sacrificing some fuel economy, to go with a little older Forester, where at least I would have a bigger engine. I will look at the Scion and drive the Vibe. When you say, "economy begins to favor the Impreza" over the Matrix, do you mean a Subaru is a better car for the money? I would recommend the Forester and/or Forester XT. Its bigger, but benefits from a slightly larger engine which would help in the mountains. 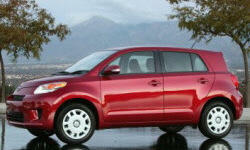 The XT is the turbo and has a lot of pep, but is much less fuel efficient and might have higher insurance rates. I own an Impreza and while I really love it, I don't live in the mountians and can understand your friend's husband's comment. There is a WRX with an automatic this year (just like the Impreza only turbo), but its not available in a hatchback :( and has the same downsides as the Forester XT. 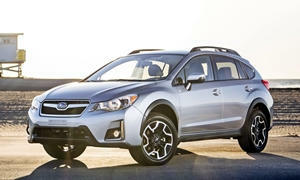 Finally the there's the XV Crosstrek. Great ground clearance, space and economy, but it has the same engine and transmission as the Impreza so its going to have the same issues on steep grades. The mountain west is one of the places where owning an SUV might not be a bad idea if only for the larger displacement and likely 4WD/AWD. The Subaru XV Crosstrek is very popular around here. I appreciate you pointing out it has the same engine, (and therefore uphill-acceleration issues) as the Impreza. 3) begin scouting around for an older Forester, keeping in mind the fuel-economy won't be as good as it will for other cars on my list. I've also thought about an older, smaller Toyota RAV-4 or Honda CR-V. I don't like the liimited visibility out the back of the new CR-Vs. Any thoughts on these? Also: is there any way to rust-proof a Mazda? I used to live in Utah, where they salted the roads, and had my Nissan undercoated each year. It worked. The problem with Mazdas was they weren't properly sealing where two metal panels were crimped and welded together, especially the inner and outer rear fenders. They claim to have fixed this around 2007, and those that age and newer don't seem to be rusting, at least not yet. The Mazda SUVs have cladding around the wheel openings, which should help keep salt out of the welds. I'd suggest a CX-5 with the 2.5 engine offered from 2014 on, but it probably isn't possible to find one under $18k. The Vibe/Matrix have a tinny feel and awkward driving positions, so I'm not a big fan. With the CR-V, I don't care for how it rides or handles. Subarus aren't bulletproof, especially as they age. With the Forester, the 2011s have been prone to valve cover gasket leaks, so I'd avoid that year. The 2015 Forester is much more efficient than the 2009-2014, but will be outside your budget. So maybe try to get an extended test drive in the mountains with the Impreza to see if its performance is sufficient. If it's not, a 2010 or newer Outback could also be an option. 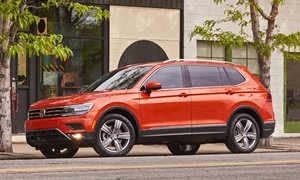 A Volkswagen Tiguan seems a good fit for performance, handling, visbility, and even fuel economy. 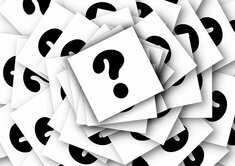 Reliability is the question mark. Those 2012 and newer have been much more reliable than earlier ones in our survey, but it's not yet possible to say whether they'll remain reliable as they age. Rust shouldn't be an issue, as VW's rustproofing has been excellent for years. (I posted previously as a member in NY) It sounds like you're worried about power to weight ratios, and on that score you don't gain much by going to the larger Subarus. 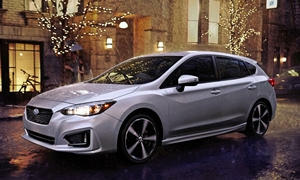 The new Impreza is about 2900 lbs/148hp. 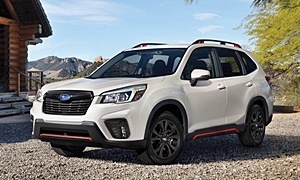 The new Forester is a 3400 lb car (old ones are 3600 lbs) with 170hp. Granted you could get the turbo in the larger cars, but that significantly increases prices and hurts reliability. The only caveat to comparing power to weight ratios is that smaller engined cars (certainly the Honda Fit; to a lesser extent probably the Impreza) have a basically linear power band right up until their maximum horsepower at like 6,000+rpm; i.e. the car has power, but you have to almost redline it to get that power, whereas some of the larger engines have flatter power curves that give you better power at low rpms. You have to change your driving style a bit for the two different types of cars/engines and be mentally OK with the high rpms on the small engines. Folks who are not OK with taking their small engined cars to 6,000 rpms will report them as "underpowered". The engines don't mind high rpms; drivers sometimes do. Regarding the Matrix vs Impreza, the base Matrix should have a lower cost of ownership than the Imprezas. However the AWD or the more powerful version of the Matrix is probably on par or slightly more expensive than an Impreza. On second thought, the xD's may not warrant consideration as a new car - they don't sell many of them and they only come with a 5spd manual or 4spd auto. If your budget were $7k; yes get a used one, but if you're dropping $15k+; there are better options. 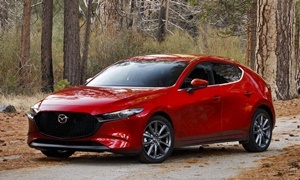 Per Michael's comments, maybe the Mazda3's have solved their rust issues, in which case it is a quick car (quicker than all but the turbo Subarus) and maybe it would be your best bet.